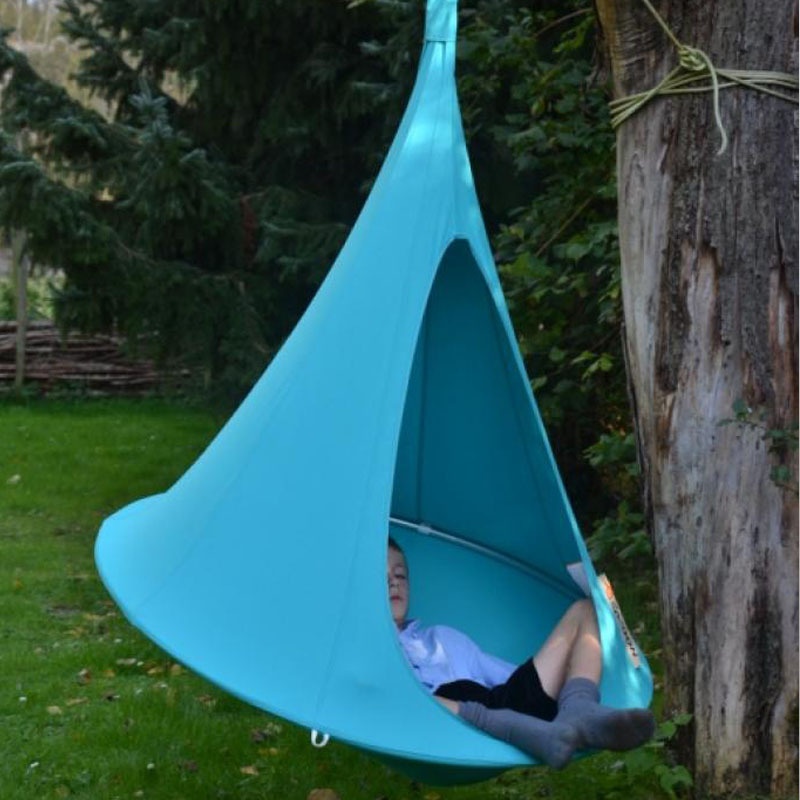 At ¯1.2m, our newest Cacoon, The Bonsai, is perfect for your kids. Whether you put it in their bedroom, hang it from a swing frame, or take it with you on a day out, theyÕll absolutely love it - and you! What a cool place to hang out; theyÕll never be out of it. Just like its older brothers, the Bonsai is made to the highest standards. So itÕs tough enough to cope with your little... darlings. So whether itÕs a tent, or a Tardis; a den or a tree house; a wigwam or a wendy house, theyÕll make it their own.